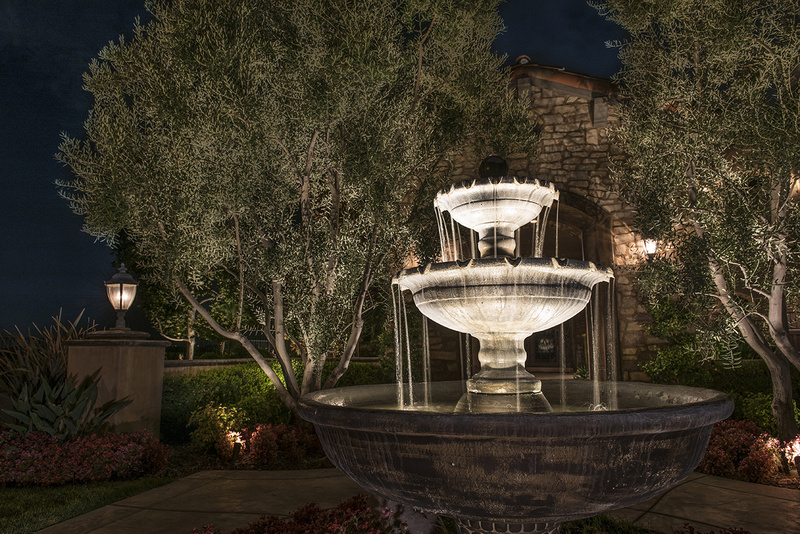 The front of this Santa Clarita California home and entry courtyard are wrapped with decorative olive trees and guests are greeted by a tiered fountain in the center of the walkway. 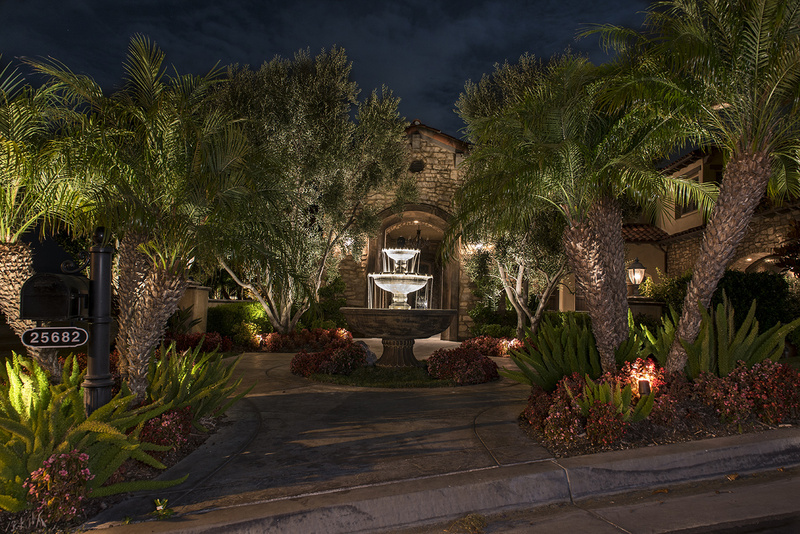 Uplights are directed up into the small trees and dramatically illuminate the branch structure and the highly reflective, gray leaves of the beautiful olive trees. 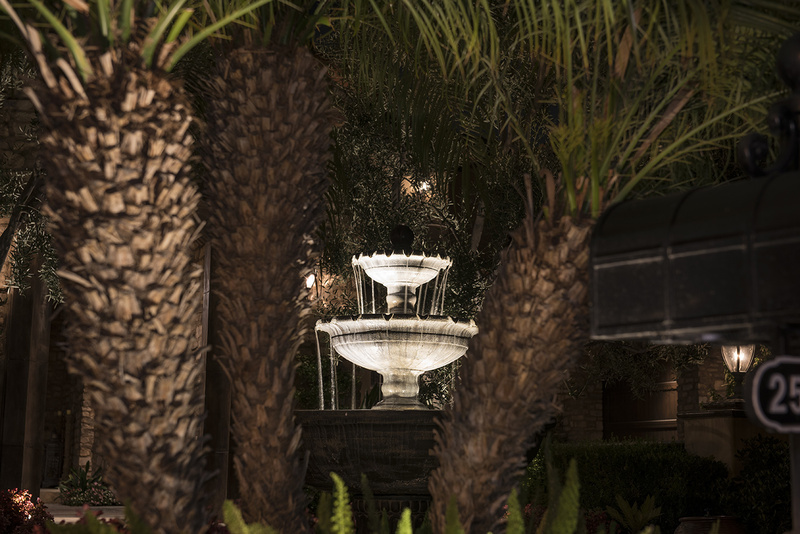 Underwater lights were used inside the fountain bowls to call attention to the falling water from the tiered bowls of the fountain.